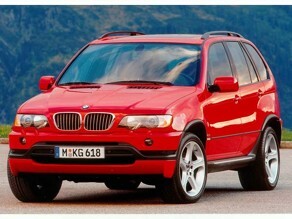 BMW X5 (2000-2006) - Car Reliability Index | Reliability Index | How reliable is your car? BMW's first foray into the world of SUVs was an instant success, with the car going on to become one of the few true Range Rover rivals. Superlative build quality, outstanding on-road manners and a cast-iron image have all conspired to ensure the X5 doesn't shed its value at the same rate as some rivals. But purchase and running costs are generally high, so don't overstretch yourself financially in a desperate bid to impress the neighbours. 3/00 X5 arrives with 4.4-litre petrol engine. 10/00 There's now a smaller petrol option - the 3.0i. 3/01 The sole diesel variant becomes available; the 3.0d. 9/01 Larger door mirrors are now fitted and 4.6iS joins the range. 9/03 Facelift brings new nose and equipment upgrades. Power of 4.4i rises from 286bhp to 320bhp. 10/03 SE trim becomes available. 4/04 Understated and completely mad 4.8iS arrives. Auto transmission is sealed for life. Dealers won't change the fluid but it should be done every 60,000 miles to prevent the gearbox failing. Make sure the xenon lights work okay - they're very costly to fix if they go wrong. Check all the electrics work, because there are lots of them. Thankfully they're generally reliable. Some owners fit huge alloy wheels on ultra-low profile rubber. It can destroy the ride and your insurance company will bump up the premium as the car is more thievable.